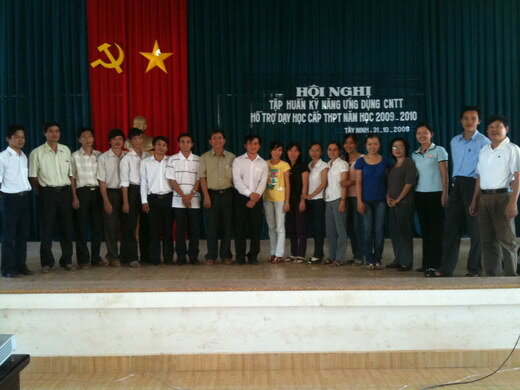 SEAMEO RETRAC in collaboration with the Department of Education and Training (DoET), Tay Ninh, conducted from October 31 to November 1 a training course on ICT application for teachers from various high schools in Tay Ninh Province. The major objective of the training was to develop a core pool of teachers who help deploy the ICT application in teaching at their schools. 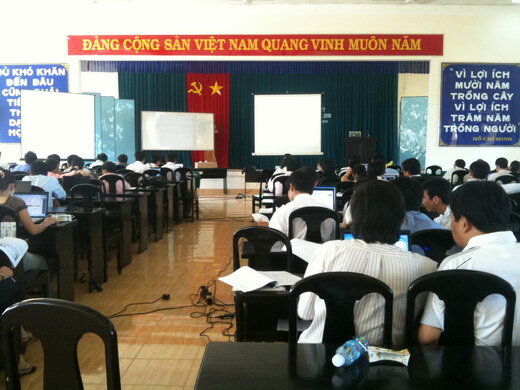 The training workshop focused on lesson planning with the assistance of PowerPoint and Flash. The training was attended by more than 100 teachers in various fields of expertise from 30 high schools. Each participant was requested to have a small project, and some of the typical projects were selected for presentation at the end of the training.